Chutneys are a type of condiment and are a regular addition to many Indian meals (especially in South Indian cuisine). They are eaten in small amounts and serve to break up the flavors of the main dishes. Chutneys can be made of just about anything (fruit, vegetable, herb), and can be savory or sweet. I learned how to make this Baigan Chutney from the same auntie who taught me to make Stovetop Tandoori Chicken and Lemon Rice, and it is delicious! Slightly sweet, spicy, and full of wonderful flavors, this chutney is very versatile and will make good use of summer nightshades. You can customize the sweetness and the spiciness by adjusting how much tomato or chili you use, and you can leave it chunky or blend it to be creamy and smooth. Remember that with most Indian cooking, the amounts I give you in the recipe below are suggestions only–there are no rules here! Taste as you cook to find what combinations of flavors you like best. 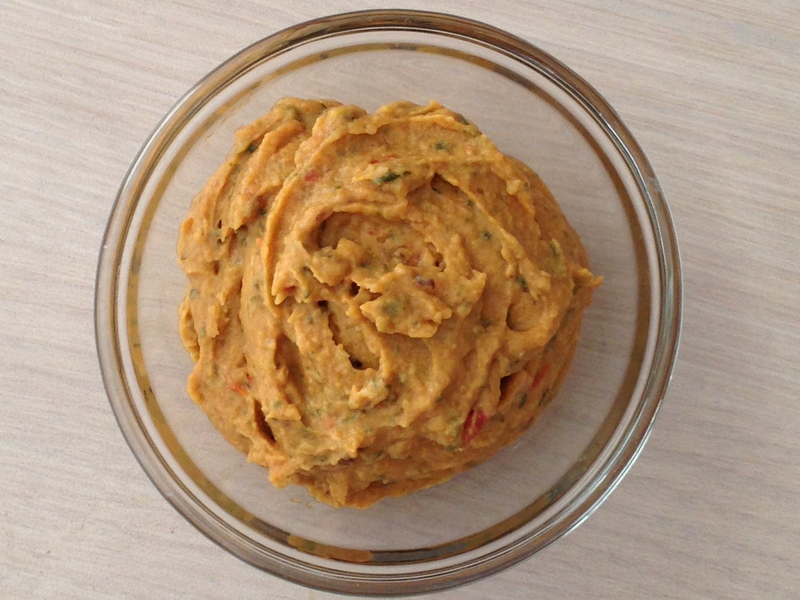 My favorite ways to eat this Baigan Chutney are over some rice or as a vegetable dip. It is especially good alongside lamb dishes. Enjoy! 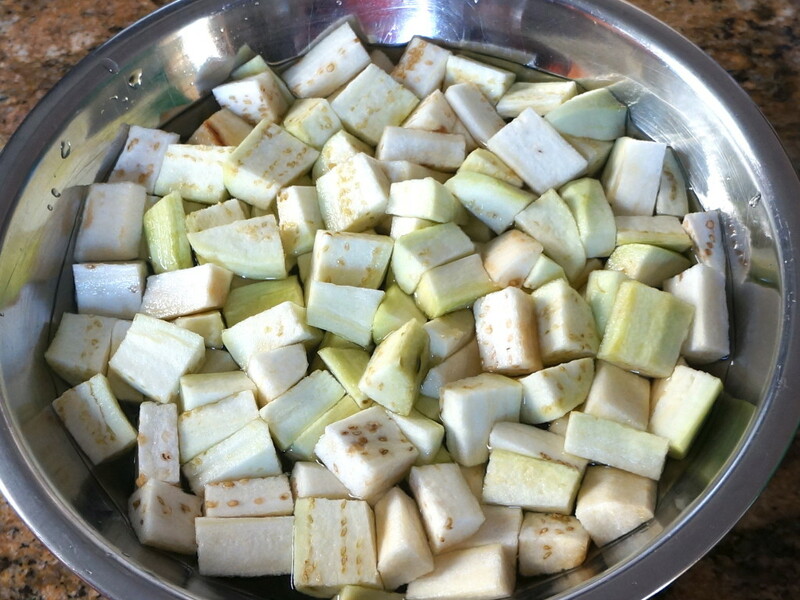 Peel and slice the eggplant, then put it in a bowl filled with cold water (this will keep it from turning brown). Heat coconut oil in a large nonstick skillet over medium heat. Add jeera mix and let it pop a little. Add the onion and cook until it is softened, but not browned. Add the garlic and mircha and cook for 1-2 minutes. Drain the eggplant and add it to the pan. Add a little salt and the haldi; stir well. Cook until the eggplant is very soft. Covering the pan will speed this process. If you cover the pan, turn the heat down a little and don’t forget to stir it occasionally so that it doesn’t burn. When the eggplant is soft and can be easily mashed with the back of a wooden spoon, add the tomato and continue cooking until the tomato is soft. When the mixture is very soft, uncover the pan and let some of the moisture cook off. Taste for salt and adjust as needed. Add the lemon juice and the cilantro, stir well, then remove from heat and let cool. 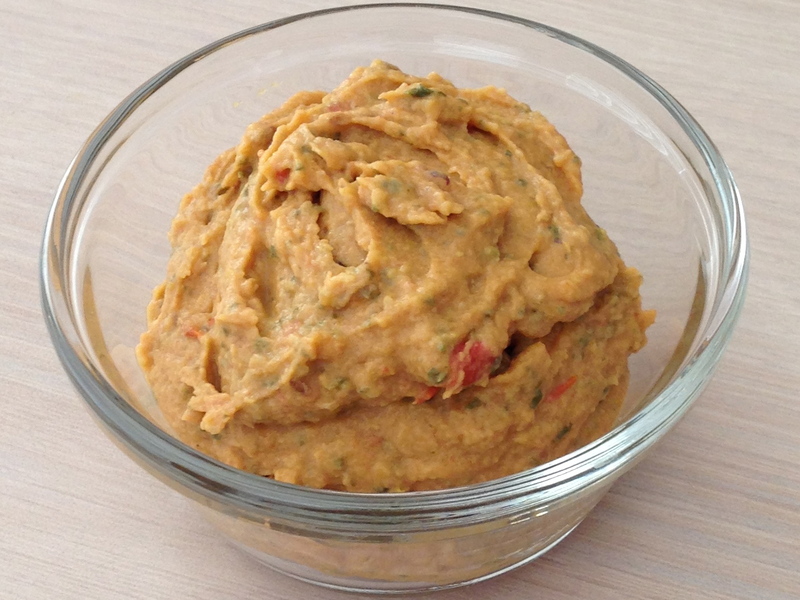 Eat as is or blend it in a food processor until it is to your desired consistency. For a milder chutney, remove the chilies from the mixture before processing. For a thicker chutney, cook the mixture uncovered to dry it out more. For a less sweet chutney, reduce the amount of tomato you use and/or add more lemon juice. This sounds really good! 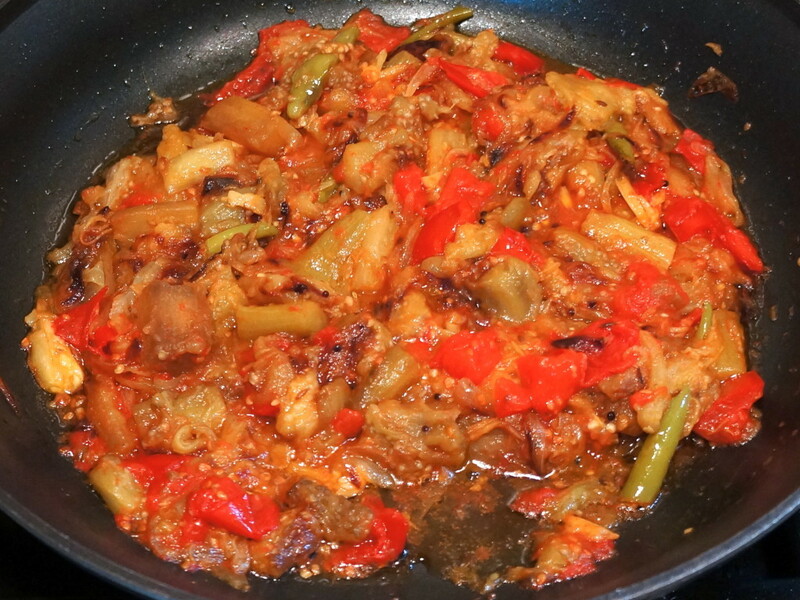 I love Indian chutneys, and I love eggplant…. I have saved this and will be making it very soon! This looks so good! thank you for sharing :) I will hopefully pick up an eggplant asap!